Can you believe we are in the final countdown to 2016? This year has gone by so fast. So many great and exciting things happened this year. I shared how to use the color wheel here, and the perfect pattern mixing guide here, and the biggest thing to happen this year; the launch of The Blog Guild. You can read about our launch party here and learn more about who we are and what we do here. You will see we added our first affiliate city already too. St. Louis has now launched their own The Blog Guild St. Louis and if you are local to that area you should contact them and join. I know they have something planned for early next year too. Speaking of plans.... we have our first workshop of 2016 already planned and we couldn't be more excited. You don't have to be a member, or even a blogger to benefit from this workshop; you just have to want to make pretty images. Tickets are already selling fast and we want to make sure you get yours. Add this to your Christmas list or tuck it in your stocking for yourself. You won't want to miss this I promise! It's been in the works for awhile now, and now we're so excited to share our very first workshop as The Blog Guild with you. 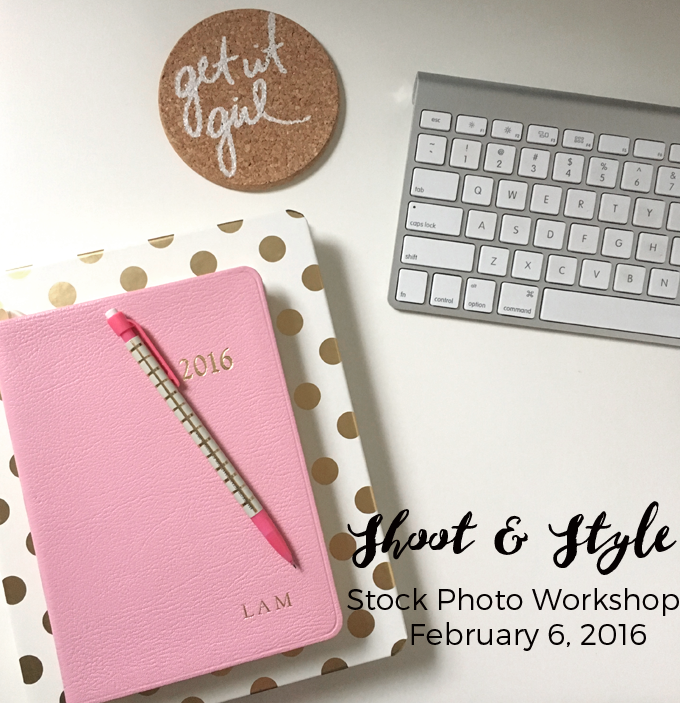 Shoot + Style: Stock Photography Workshop is the title, and we're partnering with some amazing peeps including, The Bloom Academy, and River Market Event Place just to name a few.